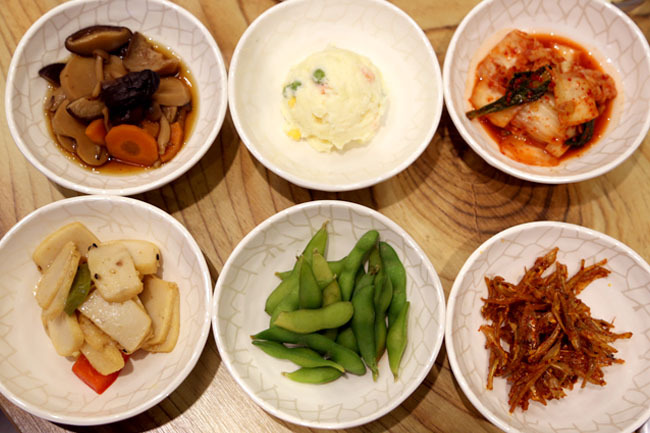 I was quite surprised to find a modern-looking Korean restaurant on the 2nd storey of TripleOne Somerset. It is the same Togi that is available at Mosque Street which has been operating for the last decade, though this is a bigger place with both indoor and outdoor sittings. Plus there were really high ceilings with a vertical garden, so you won’t exactly smell after a BBQ meal. 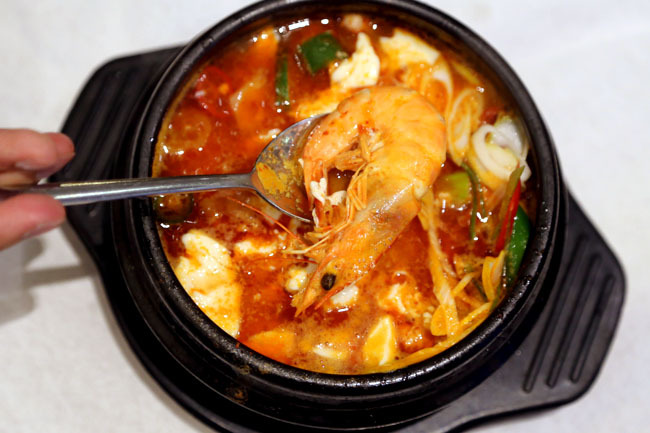 Opened by Koreans Mr Shin and Julie, you can be assured of some form of authenticity in its cuisine. I have sometimes walked past but never got the urge to enter. 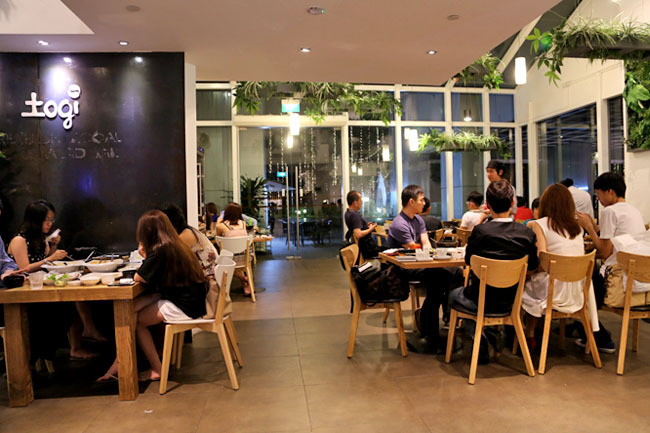 Maybe it is my bias that it is too clean and white looking, which is quite different from the orangey dark lighting at those restaurants at Tanjong Pagar. But it is a pleasant environment. 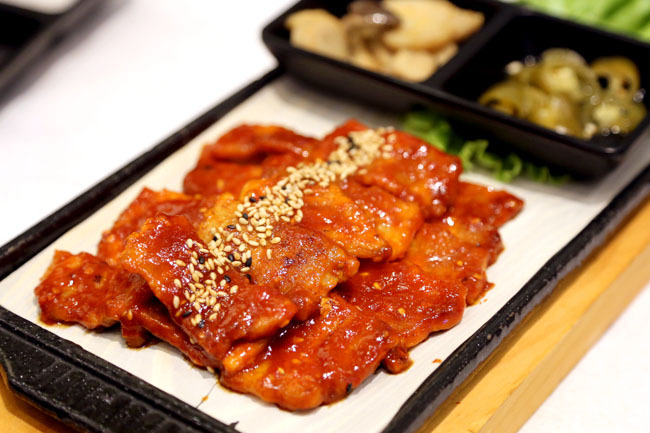 My recommendation is the Maeoon Samgyupsal ($18), 200 grams of fiery and well-marinated Spicy Pork Belly. This is best eaten wrapped in fresh cool lettuce with a slice of garlic. 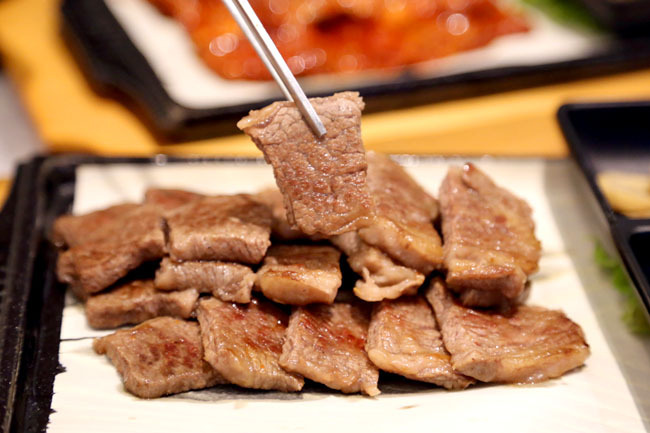 Julie chirpily told me to try the Usamgyup Sliced Beef ($22 for 200 grams), where you could savour the most original taste of the beef. But she added that Singaporeans always preferred the marinated version. Well, I can perfectly understand why, as we would prefer something more flavourful and salty in general. So I concurred the Usamgyup was slightly plain and indeed needed some seasoning to tag along. 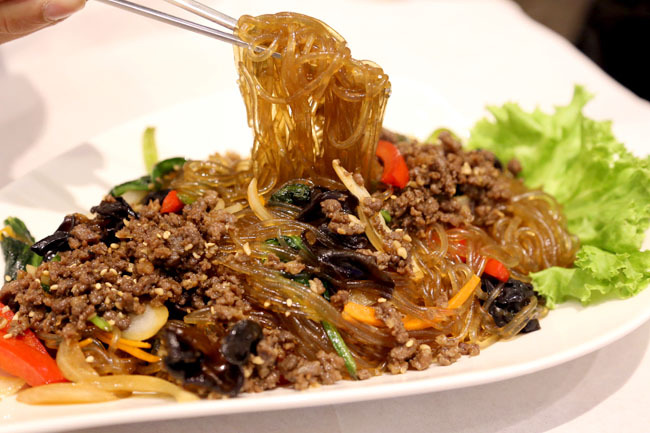 Please have the Japchae ($15), a glass noodle with assorted vegetables which is probably one of the better versions I have locally. Except that it was a tad oily. Everything else, from the Bibimbap ($11) to the Soondubu Jjigae Spicy Soft Tofu Soup with Seafood ($13) were nomnom sumptuous, especially the soup which was spicy and sent down some sweat down my forehead. It was not over the top and would suit the taste-buds of most families. 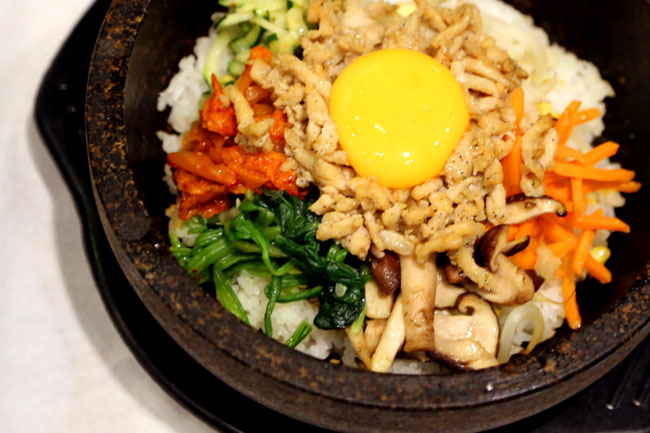 Authentic Korean fare, friendly Korean staff, clean environment with okay-prices (considering this is town), I would suggest Togi if you need to find a Korean restaurant for groups of people. There should be something for everyone. It is spicier than the usual spicy tofu soups I tried in other restaurants. But quite shiok! 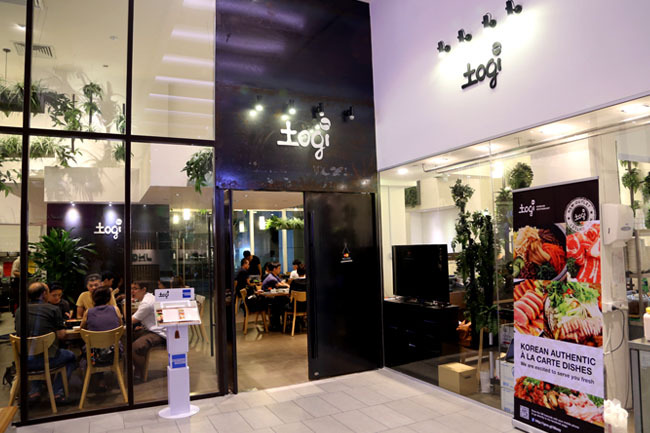 Everyone seems to be eating at Togi. I ran into Derrick who ate at Togi (Mosque St) branch.